StartLab’s mission is to provide selected life sciences incubated projects with an ideal environment designed to maximise their chances of success. Through a tailor-made infrastructure, support and service offering, we anchor aspiring business creators in Biopôle’s dynamic community and closely accompany them through their incubation journey. We aim to provide successive generations of start-ups to stimulate the life sciences ecosystem in the Canton of Vaud and across Switzerland. In 2018 StartLab Incubator is located at Biopôle, a life sciences community bringing together industry and academia. Based in Lausanne, Switzerland, Biopôle offers a world-class combination of infrastructure, added value services, living space and community engagement where partners can thrive and bring science to life. It hosts more than 50 companies, 25 research units and 1,200 talents dedicated to life sciences. Biopôle created The StartLab Advisory Board (SAB) to closely accompany our incubated start-ups throughout their growth and development. The SAB role includes the selection of the most promising projects, efficiently anchoring these projects in our dynamic ecosystem, and making sure that StartLab remains at the leading edge of best practice in the incubation of life sciences businesses. The SAB is composed of a group of professionals with complementary expertise and perspectives, including academia, investment, business, technology transfer and entrepreneurship. Please click below to see the details of our SAB members’ biographies. 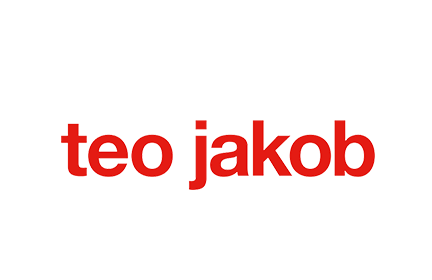 Jasper Bos, PhD is Vice-President and Head of the Healthcare Fund for Merck Ventures. He joined the previous biopharma fund MS Ventures in 2009. Previously, Jasper was instrumental in the founding of IFHA, a private equity fund backed by large Dutch and international institutional investors. He was responsible for the structuring and capital raise of IFHA and negotiated and managed private equity investments in emerging economies in the healthcare and insurance sectors. Before IFHA, Jasper worked as health economics and strategy manager at the Netherlands Vaccine Institute. He holds a PhD in Pharmacy from the University of Groningen, the Netherlands. Jasper is a member of the Board of Prexton Therapeutics, Executive Chairman of Calypso Biotech, Metabomed, Galecto, ARTSaVIT, an Observer to the Board of Translate Bio, and was a member of the Board of ObsEva (NASDAQ: OBSV) and EpiTherapeutics (sold to Gilead). André has more than 20 years experience as a Technology Transfer Manager in supporting and advising researchers and young entrepreneurs with respect to intellectual property, licensing and start-up creation, in managing patent portfolios and negotiating license deals. He is the co-founder of the EPFL Technology Transfer Office and leads the enable program at Ecole Polytechnique Fédérale de Lausanne, which aims at facilitating the path to commercialization of innovative technologies through grants, mentoring and multidisciplinary internships. He has launched several projects aiming to develop technology transfer, IP policies and strategies within higher education institutions. Passionate about raising awareness about innovation and technology transfer, he is a leading lecturer within the EPFL doctoral school (MINTT course – Management of Innovation and Technology Transfer) and is teaching within the CTI Business Concepts course. Before joining EPFL, André at IBM Research Labs. He holds an MSc in electronic engineering and a PhD in Physics. Carlos Cordon is a professor of strategy and supply chain management at IMD Lausanne. His areas of interest are digital value chains, supply and demand chain management, digital lean and process management. Carlos is currently developing research and cases in the following areas: the digital journey of traditional companies, digital innovation in value chains, industry 4.0, digital lean and applications of big data in different spaces (healthcare, transportation and FMCG). He is the author of numerous articles and case studies in these fields, and has won various prizes for his publications. He is also a consultant to multinational companies in the electronics, food, chemical, pharmaceutical, car, and other industries. He has designed and directed numerous executive development programs in the areas of digital, strategy journeys, supply chain management and sourcing. Carlos studied civil engineering at the Escuela Politecnica de Barcelona and holds a PhD in Management from INSEAD. Konstantinos Efthymiopoulos has an international career of more than 25 years in big pharma, biotechnology and VC-backed companies covering research, clinical development, registration and product launch for therapeutic products, drug delivery and diagnostics/medical devices. He is currently the founder and Managing Director of PLUS Life Sciences Consulting Sàrl which provides strategic advice and management support to life sciences organisations. He is also the Chairman of the Board of SynAffix BV, a VC-backed Dutch company. Most recently, he was the Chairman of Eporgen (a private Italian holding company with a portfolio of 11 life sciences start-ups), and the CEO of Funxional Therapeutics (a Cambridge, UK, based VC-backed inflammatory diseases company). He has also been an Advisor to Index Ventures, the Chief Scientific Officer and Head of R&D of Eurand (Italy) and the Corporate VP-Head of Dermatology of Serono based in Geneva, Switzerland. Earlier appointments were in Glaxo/Glaxo Welcome in the UK, and Head of Pharmacokinetics in Farmitalia-Carlo Erba in Italy. Konstantinos previously held positions as Visiting Professor and Senior Lecturer in the Universities of Strasbourg, France and Padua, Italy. He is the author/co-author of over 60 scientific publications and presentations in international scientific meetings and of four patents. He graduated in Pharmacy from the University of Athens, Greece and holds a PhD in Pharmacokinetics and MSc degrees in Pharmacology and in Industrial Pharmacy from the University of Strasbourg, as well as an MBA from the London Business School. Stefan Kohler is the head of PACTT, the joint technology transfer office of the University and the University Hospital of Lausanne since 2009. During the nine years before taking on this role he held various management positions in medical affairs, marketing and sales in the pharmaceutical industry on national and international level. He is an alumnus of the University of Lausanne where he obtained a PhD in biology and an MBA. Convinced that Earth is the best planet we will ever get, he is passionate about innovation that makes it a better place for all. He is therefore engaged in the board of organisations supporting innovation such as Innovaud, and the Foundation for Technological Innovation (FIT). Currently he also serves as president of the Swiss Technology Transfer Association (swiTT). Nicolas Mermod is Professor of Biotechnology at the Faculty of Biology and Medicine of the University of Lausanne, and a co-founder of Selexis SA, a biotech company. Nic completed his PhD at the University of Geneva in environmental biotechnology, followed by post-doctoral studies at the University of California at Berkeley, USA, in the laboratory of Professor Robert Tjian. Nic then joined the University of Lausanne as an Assistant Professor of the Swiss National Science Foundation, to become full Professor and the director of the Institute of Biotechnology. Nic heads the Laboratory for Molecular Biotechnology at EPFL, which has gained global recognition in the field of gene expression in biotechnology by publishing over 100 papers in peer reviewed renowned journals. Besides his scientific publications, Nic has authored a number of patents on epigenetic regulatory elements and gene expression, and he has acted as a consultant to many biotech companies and as member of the board of directors of Selexis SA for over 10 years. Nasri Nahas brings to Biopôle over 20 years of experience in the life sciences sector through roles in applied research, business development and general management. In Switzerland he was CEO of Geneva Bioinformatics and Spinomix, while in France he worked as a research engineer at Genset and Valigen. Nasri has a significant track record in defining and implementing strategy, leading dynamic teams of experts, and building long-term relationships with industry and academic partners. He holds a Masters of Engineering in bio-industry and enzymatic engineering from the University of Technology of Compiègne, as well as an MBA from the University of Geneva and a diploma in Health Management from the University of Lausanne. Vincent Ossipow, Ph.D., CFA joined Omega Funds as a Partner in 2014 and brings 19 years of healthcare investment experience in public and private companies. He sits on the Board of Directors of several private and listed companies. Vincent worked with Sectoral Asset Management, a North American healthcare institutional investor, as a Partner for Private Equity. From 2000 to 2006 he worked as a research fellow at the University of Geneva on the molecular basis of brain function. He also acted as Sectoral Asset Management’s Chief Scientific Officer during these years. Previously, he worked at Pictet Bank as a research analyst for biotechnology equities and as a co-manager of the Pictet Biotech Fund, an over 1bn USD listed investment vehicle. Vincent trained as a postdoctoral fellow (Hoffman-La-Roche and Human Frontier Science Program fellow) in Geneva and at the National Cancer Institute NCI in Bethesda, Maryland, and completed a Certificate in International Finance and Global Markets at the Georgetown University School of Business in Washington, D.C. He trained with a Ph.D. in molecular biology in 1996 from the University of Geneva. He also earned a chartered financial analyst designation (CFA Institute). Jeffrey Petty is a professor of entrepreneurship and the Academic Director of the HEC EMBA at UNIL. He has a doctorate in management and an MBA in international management and his primary research interests include venture capital decision making, new venture financing, and opportunity exploitation. Jeffrey has taught courses on entrepreneurship, entrepreneurial finance, corporate strategy, innovation management, and knowledge management. He has worked with entrepreneurial organizations globally over the past 20 years, ranging from start-ups to international corporations, in a variety of roles and has participated in all phases of the firm lifecycle, including concept development, commercialization, and exit. Jeffrey is also an accreditation assessor for the Association of MBAs and is currently a member of the Executive MBA Council’s Board of Trustees. Gisou van der Goot is the Head of the Laboratory of Cell and Membrane Biology, and founding member of the Global Health Institute (GHI), School of Life Sciences, at Ecole polytechnique fédérale de Lausanne – EPFL. She is currently also Dean of the School of Life Sciences. Before joining EPFL, she was Group Leader at the Faculty of Sciences of the University of Geneva (UNIGE) and subsequently Associate Professor at the Faculty of Medicine of the same university. She studied engineering at the Ecole Centrale de Paris, then did a PhD in Molecular Biophysics at the Nuclear Energy Research Center, Saclay, France, followed by a postdoc at the European Molecular Biology Laboratory (EMBL) in Heidelberg. In 2001, she obtained an EMBO Young Investigator award, a Howard Hughes International Scholar award in 2005 and the Swiss Prix Marcel Benoist in 2009; the same year she was elected EMBO member (European Molecular Biology Organisation). She is a leader in the fields of molecular and cellular understanding of bacterial toxins, the organization of mammalian membranes and in organelles biology. Professor van der Goot is a member of the Board of trustees of Louis-Jeantet Foundation, member of the scientific committees of the Louis-Jeantet Foundation, Bettencourt Schueller Foundation and Wallenberg Centre for Molecular Medicine at Umea University. Pierre-Jean Wipff holds a PhD in Bioengineering from the EPFL. He is co-founder of ExCellness Biotech SA a company dedicated to develop advanced cell culture systems. 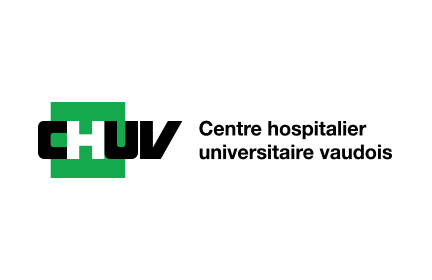 From 2009 to 2012, Pierre-Jean was Innovation Coordinator at the Geneva University Hospital (HUG) where he supported doctors and healthcare providers to set up innovation strategies for their inventions. 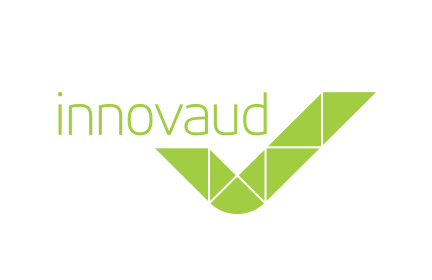 Since 2013, he joined Innovaud, the hub for innovation in the canton of Vaud, to support local health tech companies. In addition to the innovative infrastructure offered by StartLab, the Biopôle team wanted to provide managerial and business support to the start-ups which are, by definition, often pushing the boundaries of the technologies and working on the leading, if not bleeding, edge of technology. Many issues encountered by the life of a company are about the strategic route to take and the tactics used to get to the end goal. This is where the Entrepreneurs’ Club is hoping to help the StartLab start-ups. The Club gathers senior players in different fields who want to help the start-ups by providing managerial and business support. Regular meetings allow start-ups to provide updates of their businesses and seek a sounding board for a particular matter in their company. In addition, the Club members can provide mentoring on a one-to-one basis or in short-term project groups, for instance, to support fund raising. On a pro bono basis, the Club members are there for the long-term to provide a stable element to the start-up operating ecosystem, a friendly supporter who is “on their side”. Dr. Claude Amos spent 20 years at Goldman Sachs New York, London, Zurich, advising the top range of Ultra High Net Worth Individuals and families. Dr. Amos rapidly became a very top G.S. contributor in Wealth Management worldwide. He spends now time with selected partners advising and sharing financial expertise on strategic positioning and facilitating agreements between some very large financial players. Dr. Amos is also investing in early stage companies promoting advanced cutting edge technology, revolutionary application and innovation, building teams of world class experts, facilitating research translation, licensing and commercialization transfer to the largest strategic players worldwide for the benefit of a large patients population. Tanja has 20 years of experience in the fields of diagnostics, pharmaceuticals and digital health. Currently CEO of Debiopharm Innovation Fund, the strategic corporate fund of Debiopharm Group. Formerly Managing Partner of Innomedica with a track of strategy & transaction consulting work with over 80 companies worldwide. Entrepreneurial experience over several years & two start-ups. Board experience: GenePOC (chair), Immunexpress, BC Platforms, Kaiku Health. After having successfully completed his bar exam in the canton of Vaud, Alexandre spent a year in Los Angeles, as visiting attorney with the large business law firm O’Melveny & Myers LLP, mainly in the transaction department. In January 2012, he came back to work at Kellerhals Carrard (formerly Carrard & Associés), in Lausanne (Switzerland), where his practice focuses on commercial law (corporate law, financing/investment transaction, M&A, licensing and contractual law). Alexandre is also acting as Director of Carrard Consulting SA, a subsidiary of Kellerhals Carrard providing services to companies for their restructuring and liquidation activities. 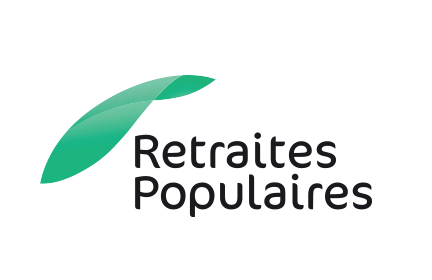 Alexandre is heading the legal and operational liquidation activities of Banque Privée Espirito Santo SA en liquidation. He is also very active in the startup field, providing advice to innovative business founders through the Seed Up platform. Mr. Kempers is a dynamic business leader, turn-around specialist and deal maker, with over 20 years of international business management, business development and finance experience with leading global corporations (Hewlett Packard, Oracle) and medical, biotech and IT start-ups. Mr. Kempers has a M.Sc. in Business Administration from the Rotterdam School of Management in the Netherlands and has continued further education with various executive courses, among which at IMD, Lausanne. Fluent in French, German, English and Dutch. Jonas Larsson, MSc & MBA (INSEAD): 25 years’ experience from international, multicultural environments, providing direction and leadership to multinational and start-up organizations in the medical device field. Currently Co-Founder, CEO and President of Neo Medical S.A., previously senior leadership roles at Stryker, IDEXX and Elekta and board positions at Vexim and Picovitro. Tuula Martin, MBA (IMD), MSc (Econ), CF (ICAEW), developed the unique Xenva concept of providing a “one-stop shop” of support to technology start-ups and university spin-outs, in particular in biotech and medtech. She ran her Xenva practice for some 20 years in the UK acting as a co-founder of, investor in and service provider to a large number of companies. She relocated to Lausanne in 2015 and is now assisting a number of start-ups and early-stage companies in the region. She acts as the Chairman of the StartLab Entrepreneurs’ Club. 43 years old, married, with 2 children. 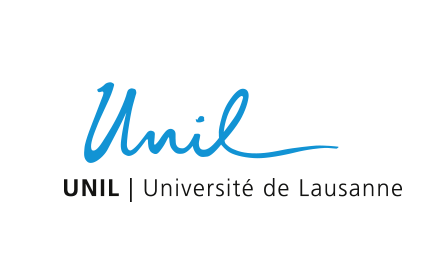 MA in Psychology (Lausanne & Neuchâtel, Switzerland) – 1997. MA in Business Administration (San Diego, CA, USA) – 2004. 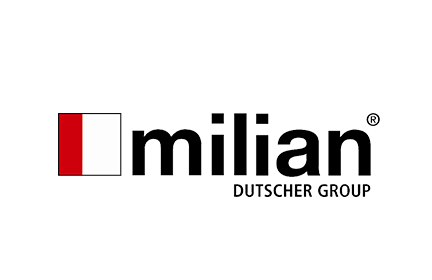 10 years of experience in diverse HR consulting firms and multinationals in the USA and Switzerland. 12 years of finance/banking experience in wealth management (international and local markets) at UBS Switzerland AG (Zurich, Geneva, Vevey and Lausanne). Since the 1st November 2018, in charge of the development of the Lausanne subsidiary, at Banque Bonhôte, one of the oldest Swiss private banks. Chairman of Dorphan SA; co-founder and CEO of Inflamalps S.A., co-founder and chairman of Tauderma S.A. and was co-founder, CEO and vice chairman of Addex Pharmaceuticals Ltd, a company he brought to the public Swiss market, and prior to these assignments was Research Area Head in the CNS division at the Swiss pharmaceutical company F. Hoffmann-La Roche Ltd.
Sylvain Perret is currently Executive Director and head of the Entrepreneurs’ team at UBS Wealth Management in Lausanne. He has more than 12 years’ experience in wealth management and has been advising successful senior executives and entrepreneurs for most of that time. In addition, he is also a member of the UBS Private Investor Circle committee, an initiative that seeks to connect wealthy individuals to fast-growing companies in Switzerland as well as responsible for a number of initiatives aimed at start-ups and young entrepreneurs. Gilles is partner with the firm KATZAROV, Patent & Trademark Attorneys one of the foremost intellectual property firms in Switzerland. He specializes in pharmaceutical, chemical and biotech invention protections and is involved in patent validity and infringement proceedings before the Swiss Federal Patent Court. Gilles counsels local (Start-ups, Universities and SME’s) as well as international Life Sciences clients on strategic issues relating to the development and management of their global patent portfolios. Katrin Siebenbürger Hacki is the director and founder of PHARE 7 Management Solutions, a specialised consultancy working with companies from the life-sciences and related industries to support their go-to-market strategies, market and business development, and fundraising. Katrin is an experienced Medical Device professional who held positions in the EMEA organization of Medtronic, Intuitive Surgical and Honeywell focused on sales force excellence, analytics and market development. She holds an MBA from IMD in Switzerland and a Masters of Science degree in Biotechnology from the Ecole Supérieure de Biotechnologie de Strasbourg in France. Oern R. Stuge M.D. is an international executive with 25+ years of experience from the life science sector. 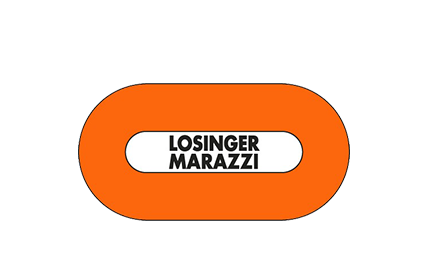 He is currently Chairman of Orsco Lifesciences AG. Prior to his current role, he worked 12 years for Medtronic Inc. in different roles incl. Senior Vice President (SVP) & President Europe & Central Asia, and SVP & President Cardiac Surgery. He was member of Medtronic Executive Committee & Operating Committee and has been credited for successfully transforming Medtronic’s global Cardiac Surgery business and accelerating the growth in its neurological and cardiovascular businesses in Europe, Middle East & Africa. Prior to Medtronic, he worked 6 years in senior management positions at Abbott Laboratories Inc., 6 years in Medinor A/S. Pierre-Jean Wipff graduated with a PhD in Bioengineering at EPFL in 2008. He co-founded ExCellness Biotech SA, a company dedicated to developing and selling optimized cell culture devices. He served as CTO and CEO successively. In parallel, he worked as Innovation Coordinator at the Innovation Office of the Geneva University Hospital (HUG). There, he supported people with ideas to elaborate innovation strategies and to put them into action. 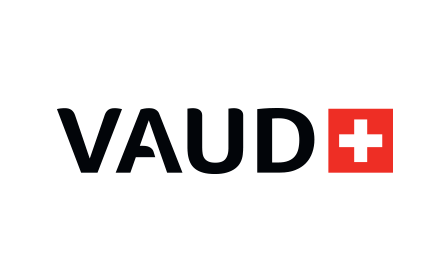 In 2013, he joined Innovaud, the hub for innovation in Vaud as Innovation Advisor for life sciences, ensuring that Vaud high-tech companies active in that domain benefit at best from all what the support ecosystem proposes. Since 2017, Pierre-Jean is part of the Startlab Advisory Board.